With almost a century of experience, the award-winning cheese house known for the famed Džiugas cheese is proud to present Prima Reggianito. Founded in the picturesque town of Samogitia, it is one of the largest and most advanced cheese facilities in Lithuania. Situated in a valley with surrounding hills make the region ideal for cattle grazing and is prime for cheese production. Although similar in name to its Argentinean counterpart, Prima Reggianito’s exceptional taste, texture, and prolonged maturation make the Lithuanian newcomer stand apart. This Reggianito or “little reggiano” separates itself from its younger cousin with an aging of over 12 months. A hard cow’s milk cheese, this craft cheese holds a crunchy crystallized and granular texture. During its long ripening period, a spicy strength, light bitterness and slightly savory taste develops, similar to that of Grana Padano. The cheese’s unique properties and exceptional qualities unfold inside its distinguished ivory color body making it an excellent table cheese that is GMO free and RBST hormone free. 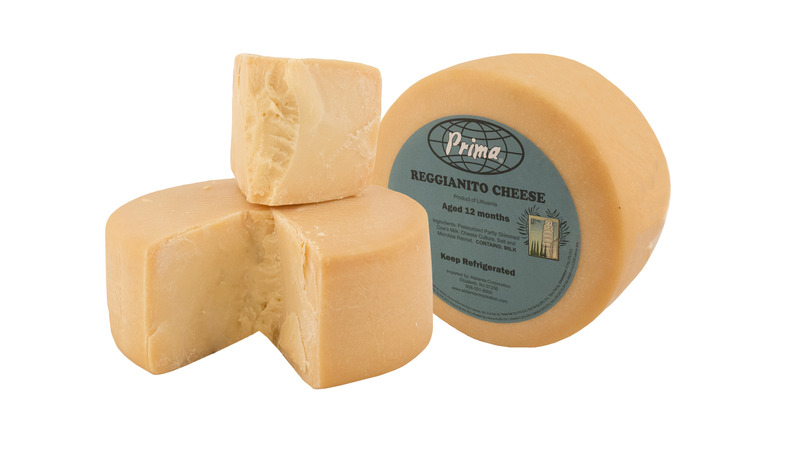 Application: Prima Reggianito offers a wonderful alternative to any dish or recipe calling for Parmigiano-Reggiano. It is most widely known as an excellent cheese for grating or shredding over Del Destino Potato Gnoccchi. Pairing: Reggianito Prima works great with the signature wine of Argentina, Malbec. Also try it with Argentina’s up and coming white wines. The up-front fruit in Torrontes plays off the cheese’s salty flavors very well. Delight your taste buds with our authentic Italian Gnocchi! All natural and soft to the touch, our potato dumpling pasta is easy to prepare and serve. 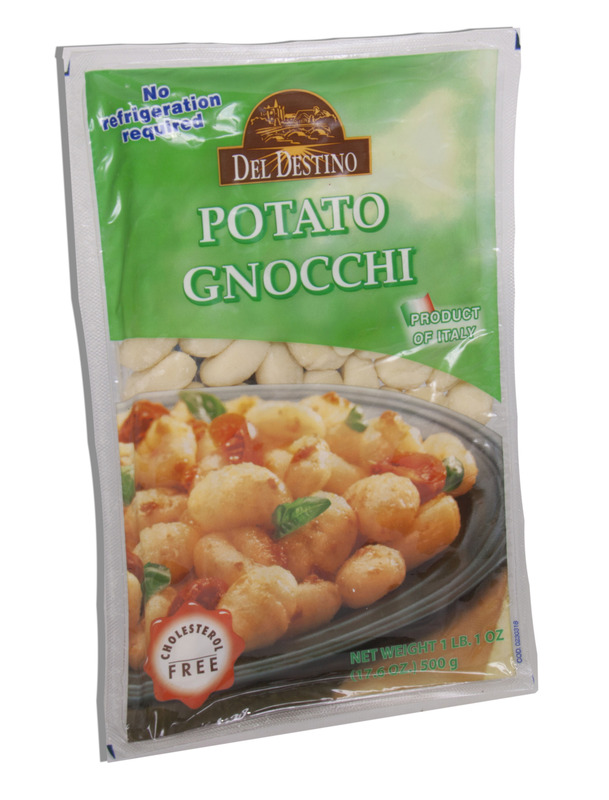 Del Destino’s innovative oxygen-depleted vacuum bag perfectly preserves these famous little potato and semolina flour dumplings with no refrigeration required. Lightly seasoned and salted with delicious flavor and texture, this true taste of Italian Gnocchi is perfect to garnish in soup or serve as a substitute for any pasta cut. Application: These quick cooking dumplings are simply prepared in a pot of boiling water for 2 minutes. Drain and top with tomato sauce and grated Prima Reggianito cheese!